Meant to post this for a bit now but I found a neat little place nestled just next to the WO&D and trail just outside of Vienna (my home). Admittedly, it’s not much of a trail and one that just takes the edge off when my eagerness to seclude myself from the world surfaces. Good thing it is only 10min away. Above is where I rest near a creek and just sit and enjoy a nice day. Funny how we as Americans never just sit and soak in our surroundings…this is where I do that. Onto more age appropriate and less old mannish things. 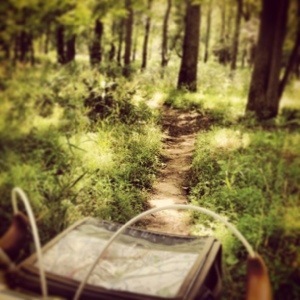 I ride the trails such as below. I don’t have exactly the best bike to do these tight and gnarly turns but it’s fun. At times, the short trail turns into head height field grass and that’s when it gets a little tough. 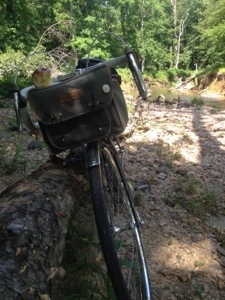 I like pushing the Campeur to its limits beyond gravel and paved ascents. 6/5 Edit: Here is the Google Map at the trail location I enter at.